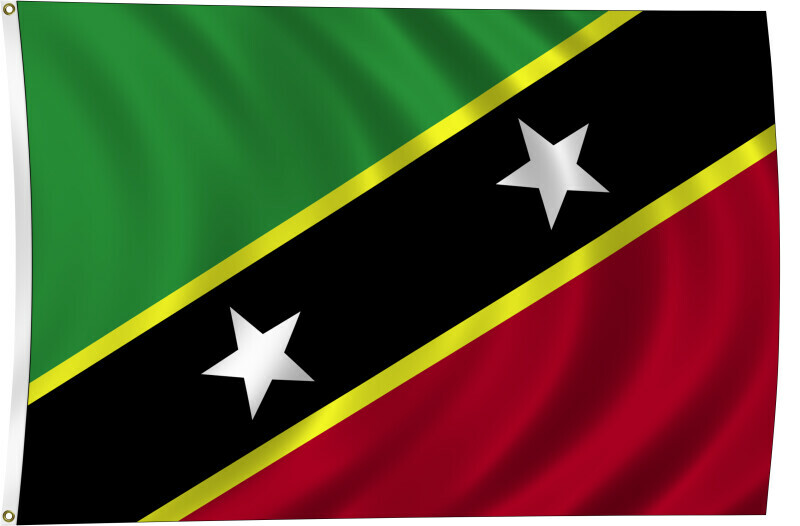 Color flag of Saint Kitts and Nevis. Divided diagonally from the lower hoist side by a broad black band bearing two white, five-pointed stars; the black band is edged in yellow; the upper triangle is green, the lower triangle is red. Flat color and black/white versions of world flags are available on the Clipart ETC website.